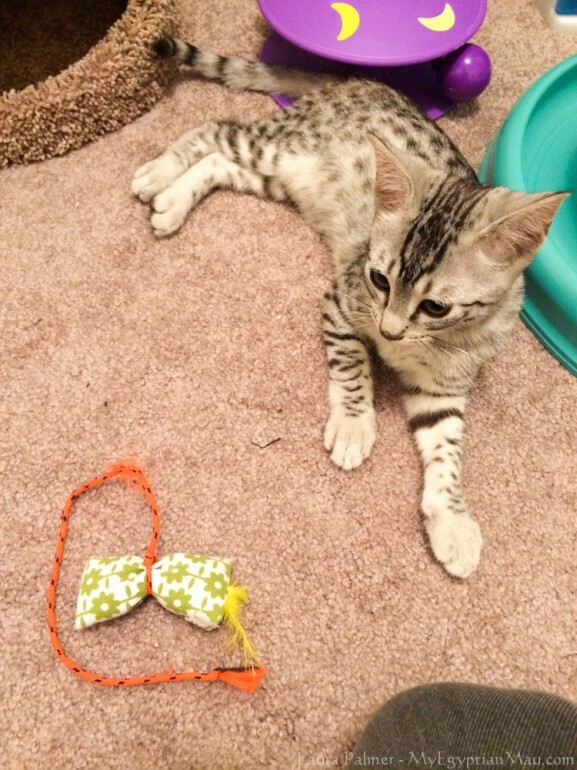 This little pouch with a shoelace tied to it was Solstice’s favorite kitten toy. It is still one of his favorites, but he developed an insatiable appetite for string so we can only play fetch with pouchie now. He is a simple mau. He likes pillows tied to strings and a long plastic stick. No laser pointers or chirping toys here.